It's not difficult to shop for holiday gifts for shoe lovers, we're not that hard to please and with websites like Shoes.com to make shopping for great shoes easy, you may find we're the easiest people to shop for. Shoes.com offers an incredible selection of fashionable and cutting-edge footwear from today's top brands, and for the holiday season, they're offering lots of footwear styles for under $200.00, under $100.00, and under $50.00. Looking for the hot trends like fringe? Shoes.com has just what you're looking for, whether its flats, tall or short boots that feature the the must-have style detail. How about some much needed boots? It is boot season after all. Whether you need boots for fall or winter, head over to Shoes.com for great styles your friends and family would love to receive this Christmas. 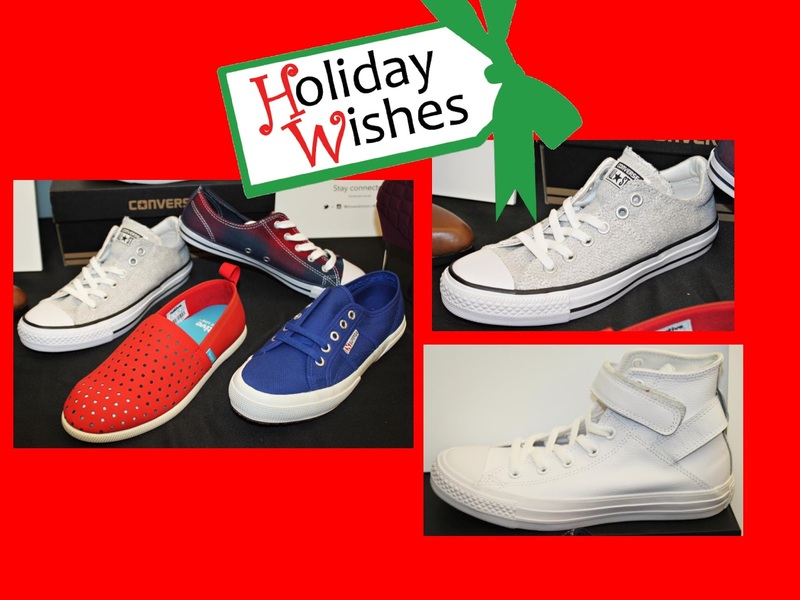 Need some cool sneakers for the sporty fashionista, or maybe some chic footwear styles for the edgy woman in your life, all can be found at shoes.com, and with free shipping, 365-day returns, and 24/7 customer service, you won't be disappointed. Naturally we have several styles we're adding to our holiday wishlist, one of which is the tall leather boot with the patchwork heel highlighted below, a trend we're absolutely loving.It's a great way to add some edge to a classic boot. What footwear styles are you adding to your holiday wishlist?